Rev. Cashious "C.C." Reddick Jr.
Reverend Cashious “C.C.” Reddick Jr., age 93 of Savannah, Ga., passed from labor to reward on Tuesday January 15th at Candler Hospital in Savannah, Ga., after an extended illness. He was a retired employee of Union Camp Cooperation now know as International Paper Cooperation. He received a certificate in Theology from Billy Graham Correspond School of Evangelism. 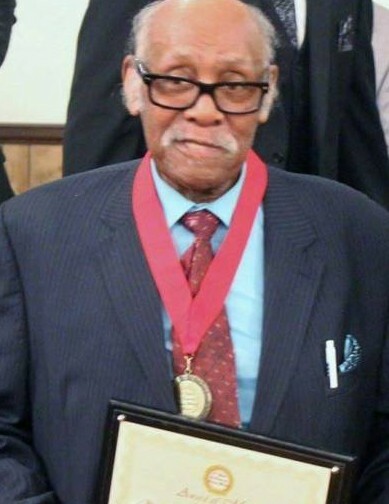 He was a life long member of The Pilgrim Missionary Baptist Association where he served as Past Moderator of the Fourth District for over 20 years. He was Pastor Emeritus of the Piney Grove Missionary Baptist Church where he served for 26 years in Statesboro, Ga. He served as pastor of the following churches: Mount Moriah Baptist Church of Pinola, Ga., Egypt Baptist Church of Guyton, Ga., Bethsida Baptist Church of Savannah, Ga., and Winderness Baptist Church of Midway, Ga. He is survived by his loving daughters Mrs. Rosalyn Boles, Ms. Lillie Reddick, and Mrs. Veronica (Stanley) Reddick all of Savannah, Ga., Mrs. Jackie (Dwight) Reddick Benton of Stuart, Fl. ; and a host of other relatives and friends. Family and friend visitations will be held Friday January 18, 2019 from 6-7pm at the Piney Grove Missionary Baptist Church, 1579 Bragan Road, Statesboro, Ga.
Home Going Services for Rev. Cashious “C.C.” Reddick Jr., will be held Saturday January 19, 2019 at 1pm at the Pilgrim Missionary Baptist Association, 801 Central Blvd., Guyton, Ga., with the Rev. John T. McPhatter, Presiding, the Rev. Jonah German, Eulogist and the Rev. Gregory Thomas, Moderator. Interment will be held in the Piney Grove Baptist Church Cemetery. Rev. Cashious “C.C.” Reddick Jr., will lie-in-state from 12 noon until funeral hour. There will be no viewing after eulogy. Craig R. Tremble Funeral Home, Pembroke Chapel are in charge of arrangements.